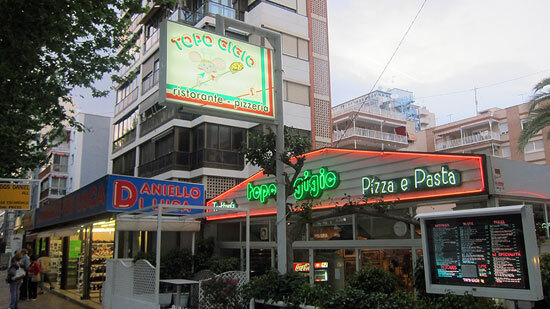 …Topo Gigio is still alive and kicking–or at least apparently operating this pizzeria in Benidorm, Spain . I was pleased to see a story on my friend Shamus Culhane, by Michael Cieply, in The New York Times. 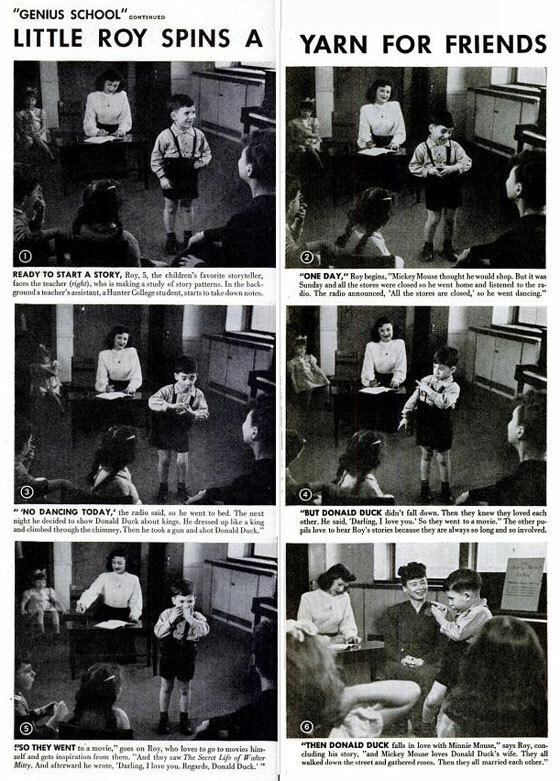 It’s on a new scholarly article by Tom Klein on Shamus’s 1940s Lantz cartoons, and particularly on the modern-art like experiments in a few of the films, such as Woody Dines Out and The Loose Nut. The tone of the article is a bit odd: It makes it sound as if Klein uncovered Shamus secretly inserting subliminal messages into the films so clever that they went unnoticed for almost seventy years. But if you’ve read Shamus’s autobiography, Talking Animals and Other People–and if you haven’t, you really ought to do so right this very moment–he dwells on the fact that he got extremely experimental and artsy with the Lantz cartoons. 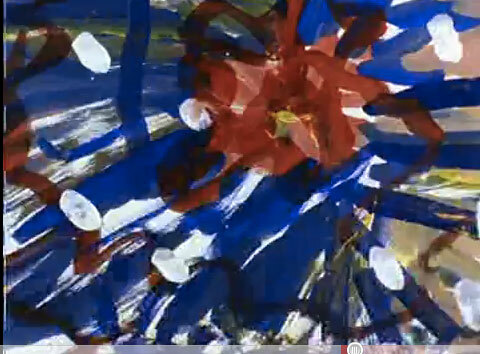 And the modern-art “mini-films” that Klein writes about, while brief, aren’t subliminal. In fact, they’re quite striking and look nothing like anything anyone else was doing in Hollywood animation at the time. Moviegoers in the forties might not have paid attention. But cartoon buffs who revisit these films today know that Shamus brought a highbrow approach to what would otherwise have been pretty mundane shorts. And I still can’t figure out why the article segues into a discussion of caricatures of real people in recent Disney animated features, such as a cameo by Charles Solomon in Fantasia 2000. Tom Klein’s article isn’t available for free on the Web as far as I know, but it’s possible to purchase it as a downloadable PDF. It’s excellent. Is it too late for Disney to acquire the rights to this and make it into a feature? Roy’s gifts as a performer didn’t go to waste when he grew up: he was Roy London, and he became an actor, director, and noted acting coach. I’m sorry to say he died in 1993. 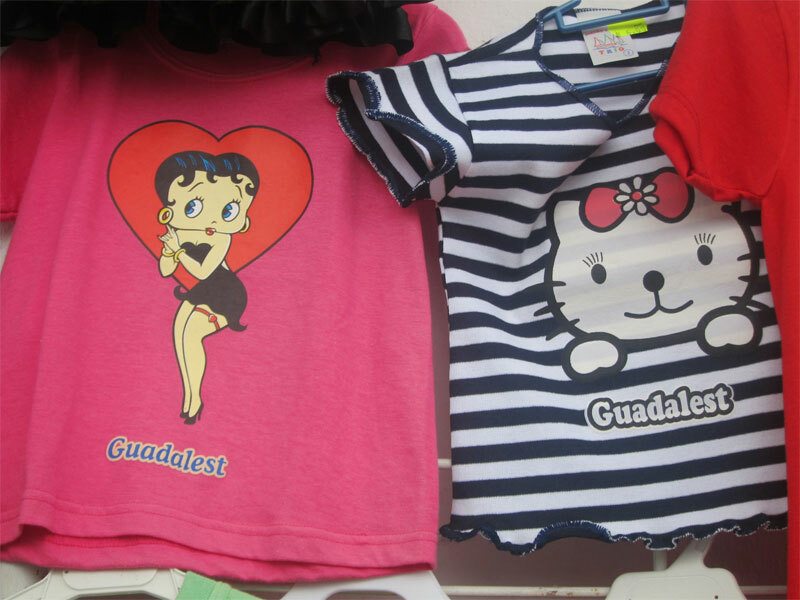 And now you know…the rest of the story. 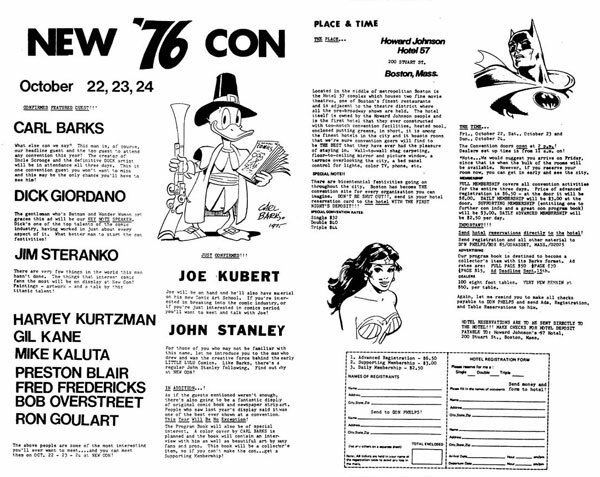 The definitive comics convention was held in Boston in October of 1976. I was fortunate enough to live in Boston and be, at twelve, old enough to go to comics conventions by myself. 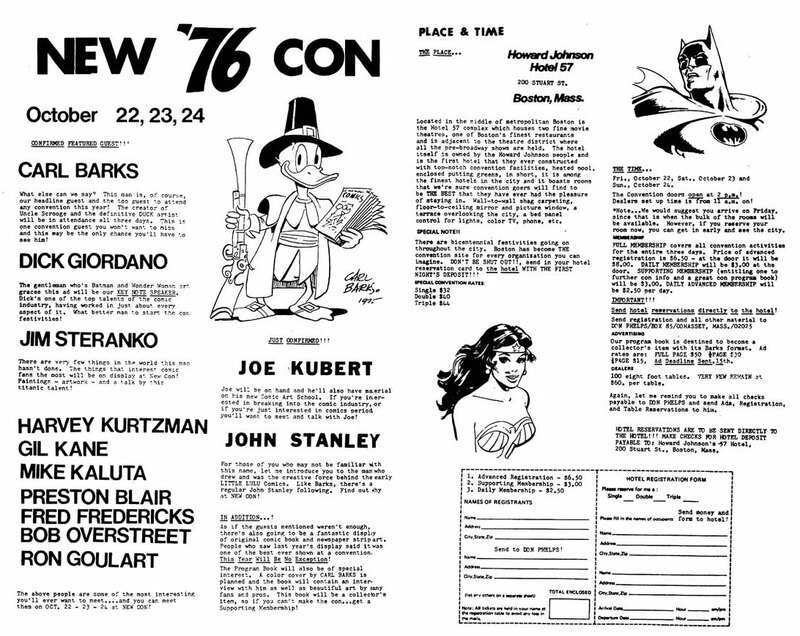 It was Newcon 76, and while I still go to conventions and enjoy them–such as Wondercon, which I attended in San Francisco this weekend–I know I’ll never go to another with a lineup to compare with Newcon, which was spearheaded by Boston fan gods Don Phelps and Marty Greim. I have vivid memories of meeting Barks, Stanley, Kurtzman, Kaluta, Fredericks, and Kubert, and the sketches and/or autographs to prove it; I can also recall wandering the dealer’s room, and only wish I could go back in time and visit it again with a little more money in my pocket. Click on the image below (which I stole from the Comics Journal’s amazing new archive) to see a larger version. Posted by HarryPosted on April 4, 2011 April 4, 2011 Leave a comment on Viva Newcon!